Looking for a use for your PlayStation Vita? Use it to watch Twitch! The lack of new releases on PlayStation Vita has been a running joke for a while now. It's been reinforced by the lack of Sony showing off anything new at E3 the past couple of years. 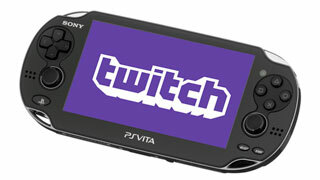 Today there's a new release for the Vita, but it's not a game - it's a Twitch app. The new app will let users watch live Twitch streams and recorded video. You'll also be able to browse channels and see a featured selection of PlayStation broadcasters. The app will also work on PlayStation TV, which means that there is now a Twitch app on every Sony platform (That's also true of Microsoft platforms as well). While it's not a system-selling app, it's at least a nice addition for those of us who already own the handheld.